With millions of brands that exist today, how do make yours stand out from the crowd? Using demand generation strategies, you can drive interest to boost your brand awareness. In this article, we’ll share 8 demand generation best practices to help get you started. Like a lot of marketing terms, the concept of demand generation can be confusing. Simply put, the purpose of demand generation is to drive awareness and interest to products. What’s the Difference Between Demand Generation and Lead Generation? Ah, now we get to the good part with demand vs lead generation. Some marketers think they mean the same thing, but there’s an important difference between the two. As we mentioned earlier, the purpose of demand generation is to drive awareness and interest. The purpose of lead generation is to collect information about your potential customers to turn that information into sales. Now that you’re familiar with demand generation, let’s take a look at 8 strategies that can boost your brand awareness. Giving away free content may seem counterintuitive, but this strategy creates a sense of trust between your audience and your brand. It can be a downloadable infographic, pdf, or any type of promotional offer. 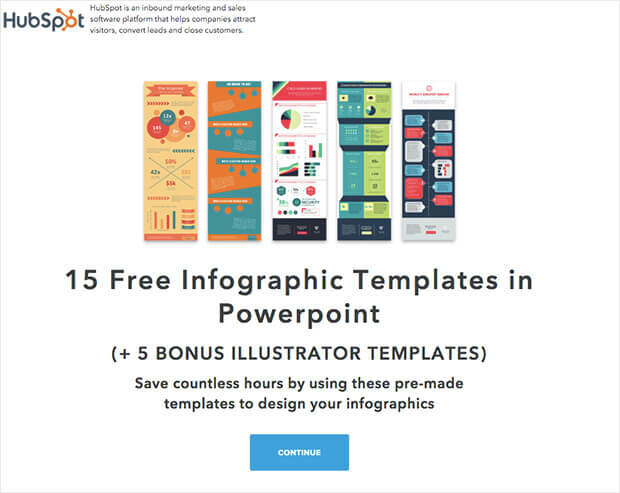 For example, Hubspot gave away 15 free infographic templates to visitors. This saves people a ton of time so they don’t have to create the infographics from scratch. All they have to do is download the template and adjust the contents as needed. 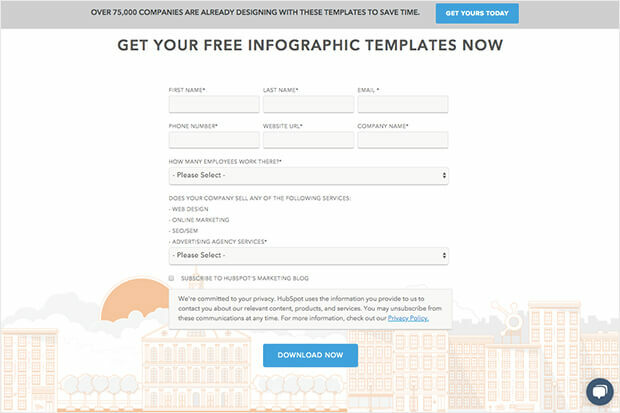 Using gated content, HubSpot was able to collect visitors’ contact information in exchange for the free templates. This is one of HubSpot’s most successful content downloads; it’s been downloaded thousands of times. As part of your demand generation strategy, figure out what your visitors find valuable and offer it for free. In addition to giving away your best content, offering visitors a free tool is an effective demand generation tactic. Developing the tool or app may not be cheap, but done correctly it will be well worth the investment. 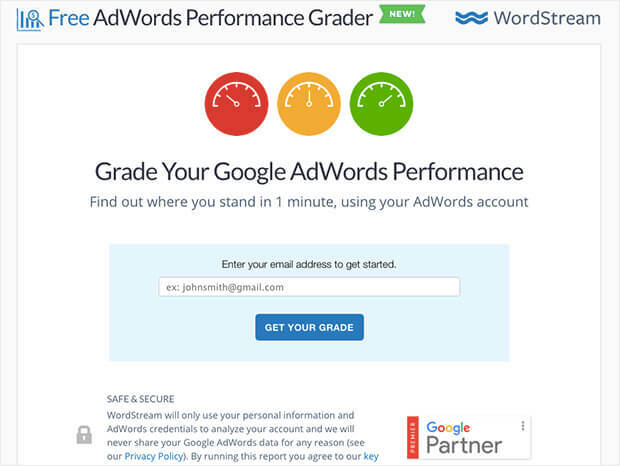 For example, Wordstream implemented this strategy back when it launched the Adwords Performance Grader. Using this free tool, visitors can find out their overall Adword performance in just 1 minute. This free tool proved to be a very strong demand generation tool for Wordstream. Ultimately, it helped strengthen their position in the industry as one of the most trusted resources for pay-per-click (PPC ) help. Partnering with other businesses in the industry is another great demand generation strategy. Also called “partnership marketing”, this collaborative effort between businesses works together to meet business goals. It’s not uncommon for small businesses to struggle with promoting their brand, so partnering with another business can help. Working together can save resources, money, and time. 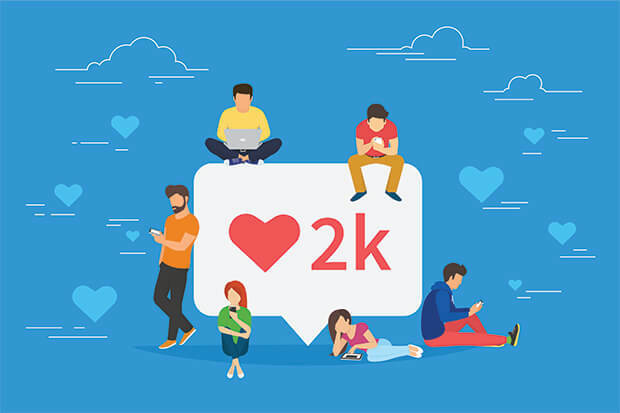 These relationships can help boost your brand awareness, which is a crucial element of your ongoing demand generation strategy. Did you know that marketers who prioritize blogging are 13x more likely to get a positive return on investment (ROI)? Or that companies that blog regularly receive 97% more links to their site? 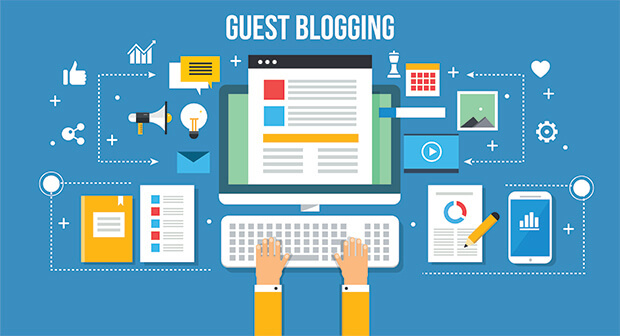 92% of businesses that update their blog several times a day have converted at least one customer directly from the blog. After you’ve partnered with other businesses, collaborate with them on your blog. This way, you both can benefit by showcasing new content to new audiences. And you won’t even have to do all the work yourself. Save time, grow your audience, and boost brand awareness. You may even end up learning some new demand generation ideas! If you’re a brand today, you have to use social media, in some way, shape, or form. You don’t need to have millions of followers across all your social channels, but you do need to have an active social media presence. 58.6% of consumers interact with brands using social media about 1-3 times per day. 92% of marketers use social media content as part of their marketing strategy. 68% of small businesses stated that they have a social media profile. With a majority of consumers and businesses using social media, you’re missing out on a lot of potential leads if you aren’t. Being on social media not only increases your brand awareness but allows you to connect directly with your customers. Use demand generation techniques like partnering with other businesses or influencers as part of your social strategy. Along with all of your amazing content, don’t forget to include video as part of your demand generation tactics. A very simple way to do this is to use the content that you already have. Do you have a new product that just launched? Include a video to give viewers a tour of your product. 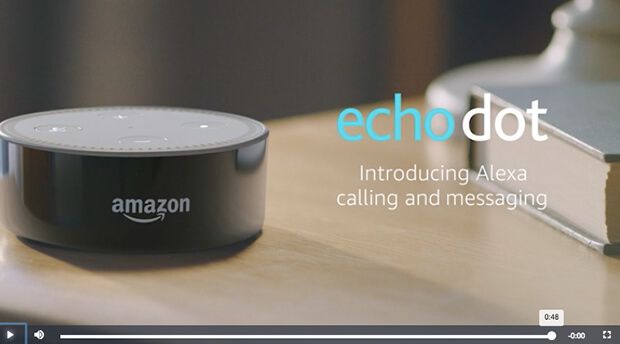 Amazon created a 48-second video introducing Alexa making a call using Echo Dot. The video shows viewers how they can talk to almost anyone hands-free, without tapping or searching. The first scene shows a son asking Alexa to call his dad. The key part of the video shows that Alexa was able to do this using voice command only. Amazon kept the video right under 1 minute. With attention spans shrinking, it’s important to keep videos short, just like Amazon did. We all know it: Content is king. And it always will be. Inbound marketing is a super important part of a successful demand generation strategy. Take time to create quality content that will bring visitors to your website to learn more about your brand. If you aren’t already, publish blog posts regularly. Stuck for ideas? Here’s 103 blog post ideas to help get you started. According to Constant Contact, 205 billion emails are sent each day. By the end of 2019, that number is expected to reach 246 billion. That’s a lot of emails! So, how do you make sure your email doesn’t get lost in the mix? Test everything. Use A/B testing to see what works and what doesn’t. Everything in your email can be (and should be) tested. From the subject line to headline, anything can be changed. Try different placements, images, colors, and wording. You should also include the first demand generation strategy we talked about, which is giving away your best content. By giving away something of value, you’re likely to get your subscriber to open the email, and click through. Make sure that your emails are engaging and filled with content your subscribers actually want or you’ll risk losing them. Give them just enough so that they’re looking forward to hearing from you again. 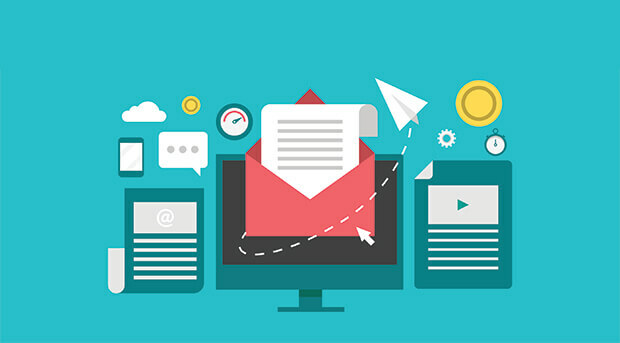 You may also want to check out these tips for writing email marketing copy that converts. And there you have it! That’s 8 powerful demand generation best practices that will boost your brand awareness. Now, go use your newfound knowledge to tell the world about your awesome brand. Want to keep up with all the latest tips, tricks, and tutorials? Follow us on Facebook, Twitter, and YouTube!